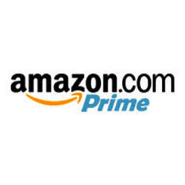 Amazon Prime Chase and Synchrony cardholders get an extra 5%-15% cashback on select items when paying with their Amazon credit card. That’s on top of the regular 5% cashback rewards for all Amazon purchases. The extra % Back will post to your account within a week of the transaction posting, and will appear on your monthly credit card billing statement and be available for use within 1-2 billing cycles. Any portion paid using another payment form (including, but not limited to, gift cards and rewards points) may not receive the percentage back bonus. Offer may not be combined with any Special Financing or Equal Pay offers. Offer does not apply to shipping charges, taxes or other fees associated with the purchase of an eligible product. Some of these may be useful. Thanks to those who use our links for their holiday shopping. There are a bunch of random items other than the main categories. I picked up some LifeStraw water filters last week with 15% back. It’s smart to bookmark that page and check back periodically. Do you have to be a Prime member to receive the extra cashback? Yes, seems offer is only for Prime cardholders.